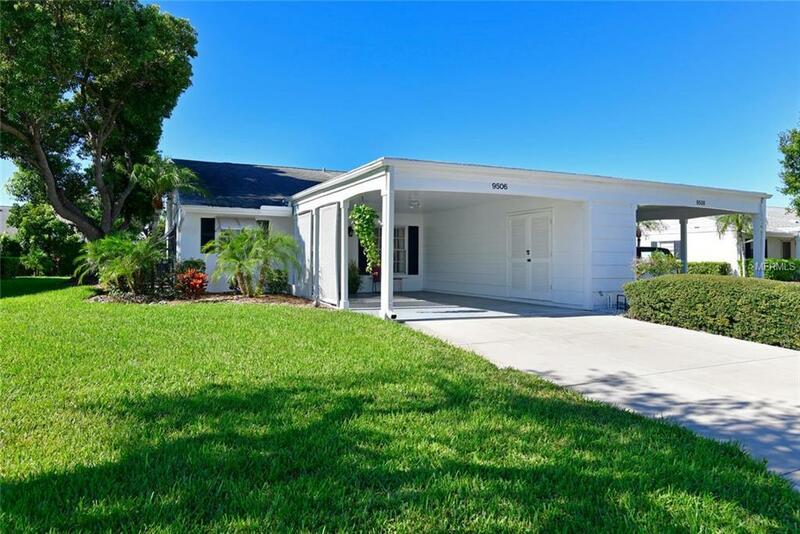 MOVE-IN READY, TURNKEY FURNISHED, BEAUTIFUL & LOWEST PRICED PROPERTY in Mt Vernon on Sarasota Bay! Dont let this one get away. 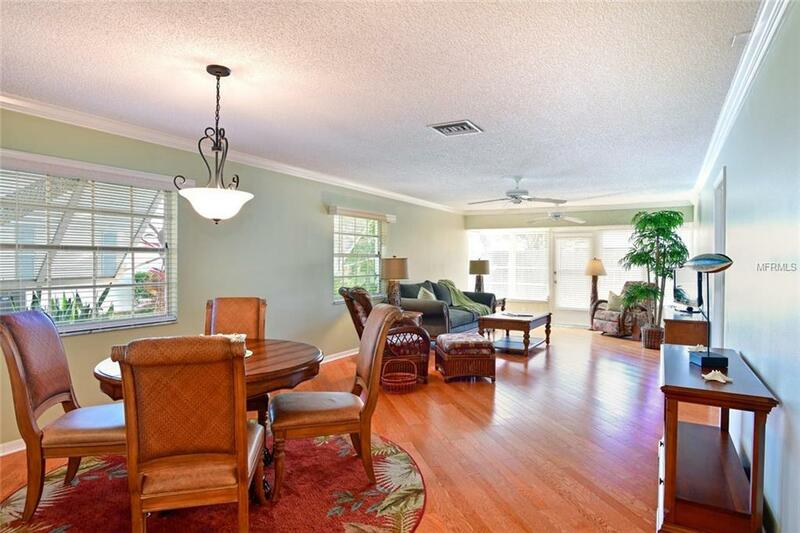 Highlights: 1,311sf with great-room & split bedroom floor plan, gleaming hardwood flooring on diagonal, crown molding, breezy ceiling fans, 2 blinds, designer paint, quality furnishings, updated bathrooms, extra-wide carport & driveway, secure outdoor storage, & private garden patio. You can buy with confidence with Seller provided Supreme Home Warranty. 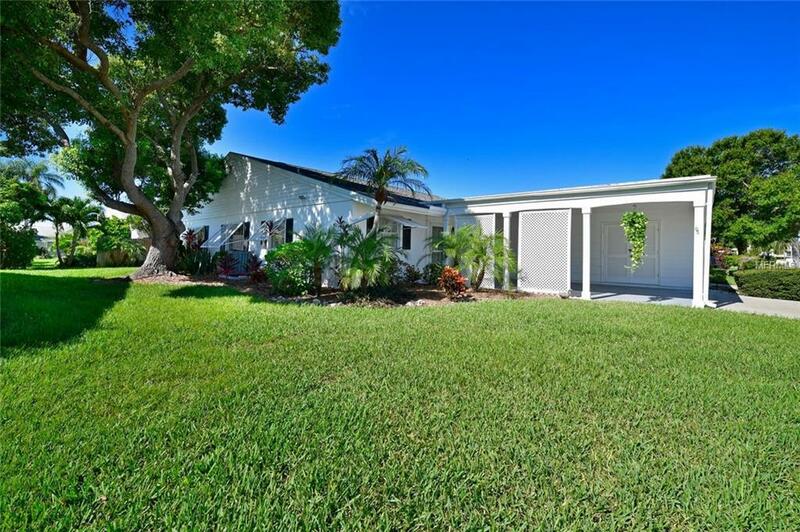 This charming villa with Key-West-Style exterior shutters is squeaky clean & just waiting for you. Kitchen has lots of Florida sunshine, tray ceiling, & some newer appliances. Spacious master suite has an updated bath with walk-in shower & walk-in closet boasts complete organization plus pull-down attic stairs. Up front providing overnight guests privacy is 2nd roomy bedroom with adjacent nicely updated bath. 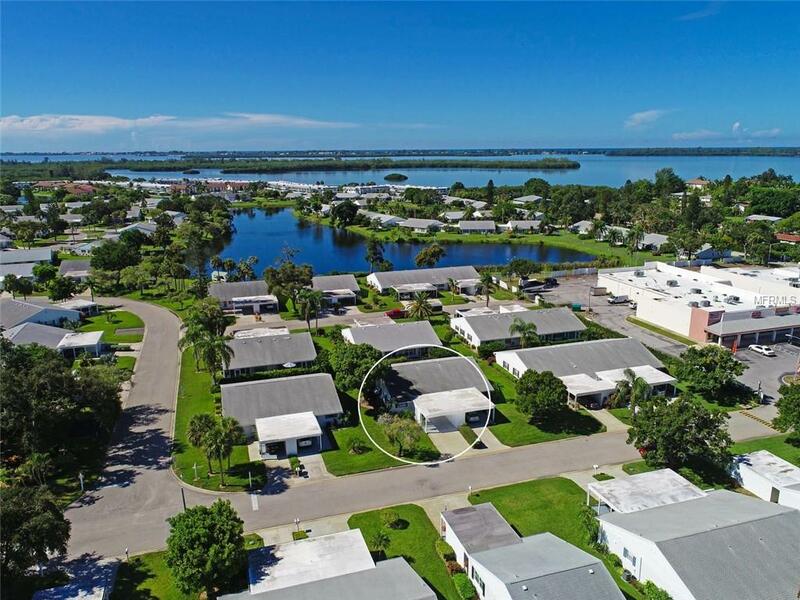 Community boasts: remodeled clubhouse, boat docks, pool, tennis, pickleball, spa, sauna, workshop, library, game room, billiards, chip & putt, shuffle, walking paths, bay front park, kayak launch, bayside pavilion, lakeside gazebo, bird sanctuary, tidal pond, activities, socials & MORE! Enjoy an active & friendly community that is amenity rich & maintenance free offering an unparalleled lifestyle & great value. Have it all just minutes by car, boat & bike to Anna Maria Island's unique shops, one-of-a-kind dining & sugar white sandy beaches. Start living like you're on vacation. The "Mt Vernon Lifestyle knows no limits! Additional Lease Restrictions One Person Must Be 55 Or Older; Application $100 Application Fee; interview; Approval Required; Contact Mt Vernon Office For Additional information.